DescriptionOne of the many controversial issues to emerge from the Civil War was the treatment of prisoners of war. At two stockades, the Confederate prison at Andersonville, Georgia, and the Union prison at Elmira, New York, suffering was acute and mortality was high. During its single year of existence, more money was expended on the Elmira prison than in any of the other Union Stockades. 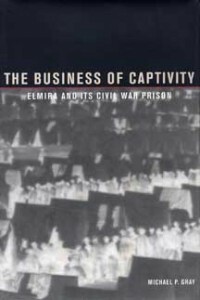 Even with this record spending, a more ignominious figure was attached to Elmira: of the more than 12,000 Confederates imprisoned there, nearly 3,000 die while in captivity – the highest rate among all the Northern prisons. The author’s conclusions are based on new, little-known, or never used archival materials. In a similar vein, his description of the prison culture is especially illuminating. AuthorMichael Gray is Associate Professor of History at East Stroudsburg University.